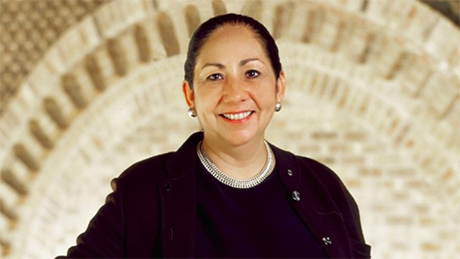 Pioneering educator Juliet García, former president of the University of Texas at Brownsville and the first Hispanic woman to lead a U.S. college or university, will deliver the Commencement address at Smith College’s graduation ceremony on May 17. 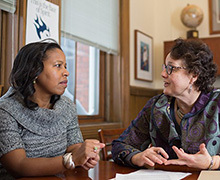 Group co-chairs Daphne Lamothe, associate professor of Afro-American studies, and Audrey Smith, vice president for enrollment, talk about the group's progress. Celebrate Smith and your years as a Smithie—meet old friends and make new ones! Attend Reunion 2015, May 14–17 and May 21–24. Click here for more information and to register. Yenelsa Duran ’16's room in Comstock House is a perfect mix of comfortable, pretty and functional. Click here for a tour of her Smith residence, part of the ongoing series, Home Smith Home. Make sure you are taking the right risks. 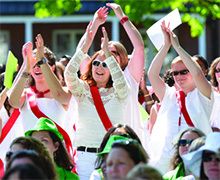 Join alumnae and faculty for the Smith College Women’s Leadership Conference: Taking the Right Risks, March 27–28. Register today! The new Nancy and Henry Schacht Center for Health and Wellness opened in January. Read how this innovative facility is providing a number of services under one roof. A $2 million grant from MassMutual will fund a new program at Smith and Mount Holyoke College for women interested in the emerging field of data science. The program begins this fall. The Smith Scarf Is Back! The popular Smith College silk scarf, which features a 1937 pen-and-ink drawing of the campus, is once again available in limited quantities. Click here for more information and to order.